uAvionix and SkyDemon have expanded their trial broadcasting weather data over the ADS-B UAT protocol. Two new UAT stations have been installed at Redhill and Goodwood aerodromes, adding to the first one at SkyDemon’s base at Milborne Port in south Somerset. The UAT service is similar to the Flight Information Service-Broadcast (FIS-B) system deployed in the US. uAvionix said: “Our first station was installed at the SkyDemon offices in Milborne Port back in November. We learned a bit from that first installation in terms of installation and design, and took advantage of the slower flying season over the winter to refine the design to make a few improvements. 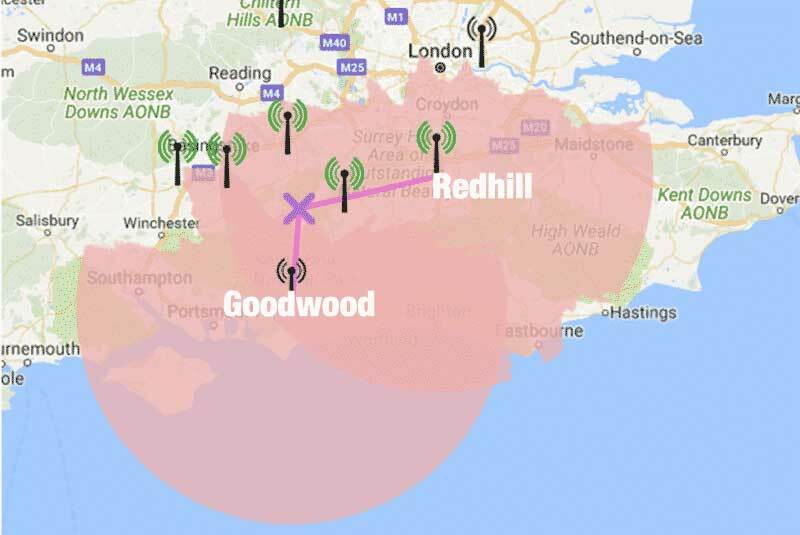 The new UAT broadcast sites are Redhill and Goodwood. This is the expected range at 3,000ft AGL. 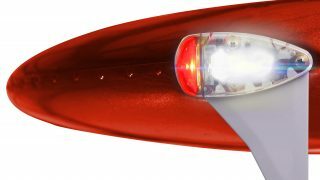 The trial requires users to have a UAT receiver, such as uAvionix’s SkyEcho electronic conspicuity device, and something to display the broadcast on. 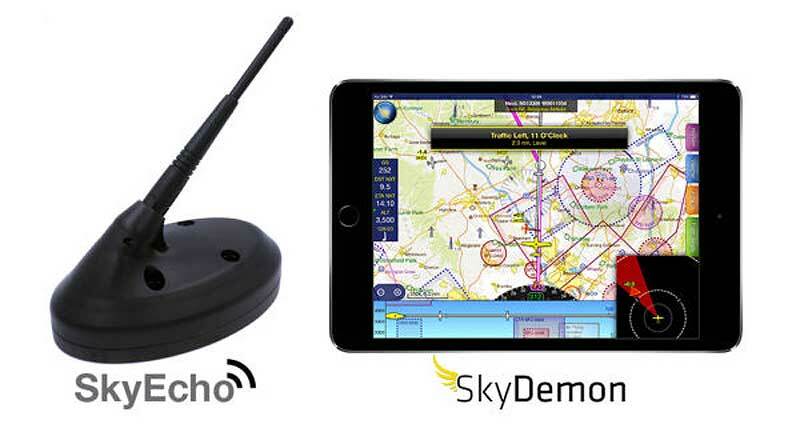 This could be the SkyDemon app loaded onto a tablet or smartphone – it also works with EasyVFR, Foreflight and Garmin Pilot apps – or an installed display such as Garmin’s GTN750. 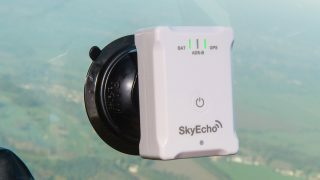 To take part in the uAvionix trials, you’ll need a UAT receiver, such as the SkyEcho device, and a display, such as an iPad running the SkyDemon app. The reason why Redhill and Goodwood were chosen was because it was known that there are several such equipped aircraft at these locations. The range of the broadcast depends on several factors including transmit power, line of sight (LOS), and receiver sensitivity. “Our FIS-B stations transmit at 25W from an omnidirectional antenna. 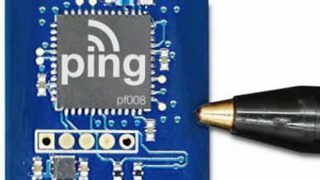 Theoretical calculations would say that signal should be receivable at 40+nm,” said uAvionix. “However, LOS is the biggest factor in determining reception range. LOS is affected by the height of the broadcast antenna, as well as surrounding terrain. It is also very strongly affected by the location of the antenna on (or in) your aircraft, and the relation of your aircraft to the terrain. uAvionix plans further broadcast stations with Dunsfold Aerodrome and Wycombe Air Park already agreeing to host new sites. “We hope to add three to four more which would provide consistent coverage to the west and south of London. We have received multiple offers from airports, organisations, and individuals who have an interest in hosting locations,” said uAvionix. Nice! 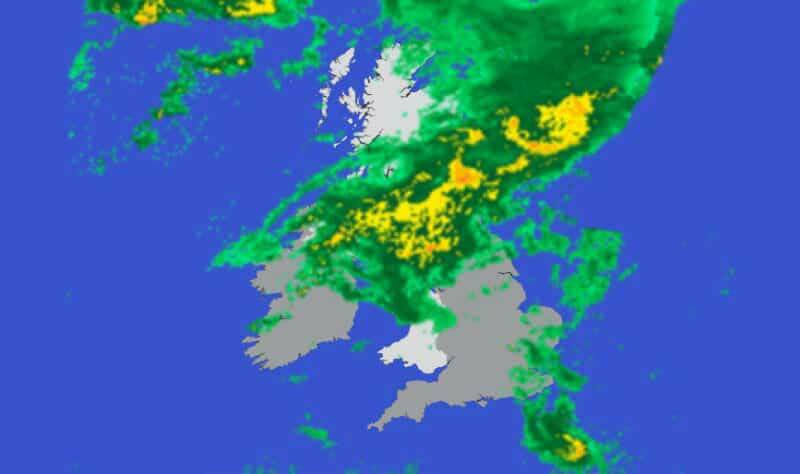 I flew out of Goodwood yesterday with my SkyEcho and don’t recall the weather on screen. When is it due to go live there? Also is it just weather for now or NOTAMS as well?